WEST LAFAYETTE, Ind. — A team of Purdue University students and alumni will begin 2018 in an out-of-this-world environment as part of a two-week mission to the Mars Desert Research Station in Utah. 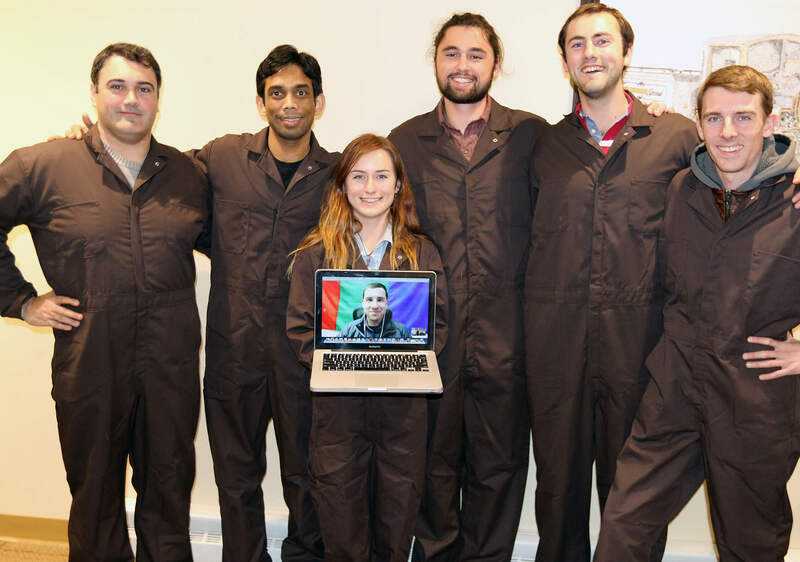 The seven-member team was selected by the Purdue chapter of The Mars Society to take part in a simulation mission. 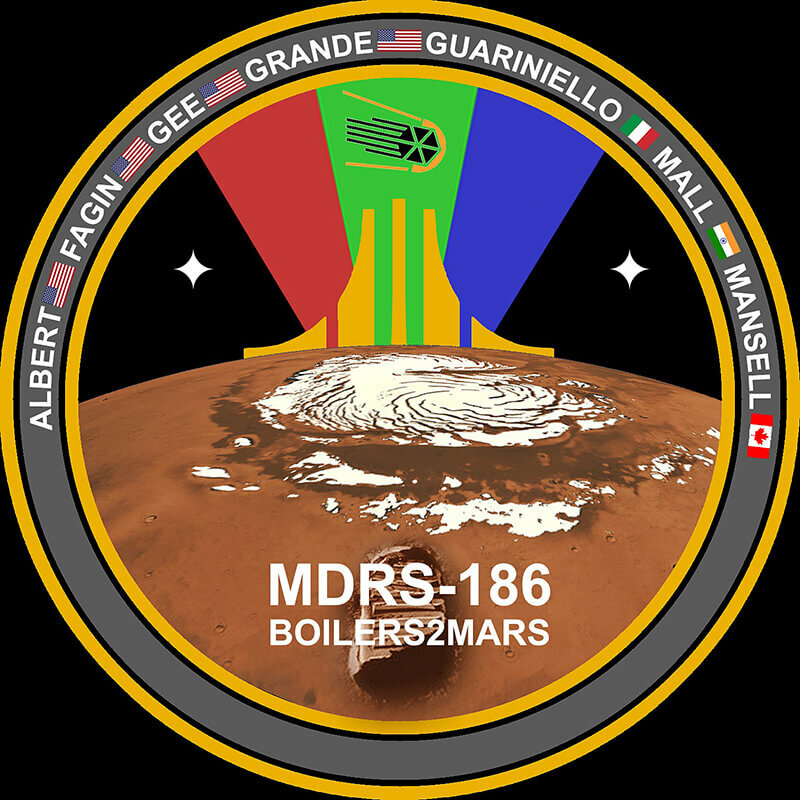 The team, called Boilers2Mars, will take over command of the research station on Dec. 30 and pass it on to the next team on Jan. 14. It is the first crew consisting entirely of Purdue students and alumni to take on a mission at the research station. Built near Hanksville, Utah, by The Mars Society in 2001, the desert research station includes a small two-story habitat, an astronomical observatory and a scientific laboratory and greenhouse. Keeping with the Mars simulation, crew members must wear sealed space suits whenever leaving the station for outside work. The Mars Desert Research Station is one of only a few Mars simulation environments around the world. In addition to their own experiments, the Boilers2Mars team will perform tests on new space suits used in extra-vehicular activities during the simulation mission as well as some medical procedures. They will provide online daily reports from the station. A video is available at https://youtu.be/7uHVS7_MFkA. * Max Fagin, commander of the crew and a Purdue alumnus. * Kshitij Mall, executive officer and a doctoral student in aeronautics and astronautics. * Melanie Grande, crew engineer and undergraduate student in aeronautics and astronautics. * Cesare Guariniello, crew geologist and a Purdue alumnus. * Justin Mansell, crew journalist and doctoral student in aeronautics and astronautics. * Mark Gee, Green Habitat officer and undergraduate student in bioengineering, biochemistry and plant breeding. * Samuel Albert, health and safety officer and undergraduate student in computer sciences and aeronautics and astronautics. James Nolan, the backup crew member, is pursuing a master’s degree in agricultural and biological engineering. Briony Horgan, an assistant professor of planetary science, and Marshall Porterfield, a professor in agricultural and biological engineering, are faculty advisers for the team. 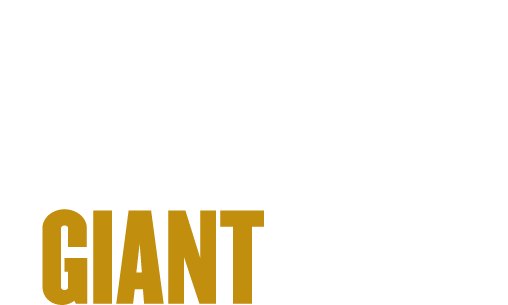 The team received funding support from areas of the university, including the Honors College and the Purdue Engineering Student Council, among others. The upcoming mission is a return trip for Fagin after he took part in a 2010 Mars simulation at the site. He said the research station presents challenges of a Mars mission without the risks and costs of leaving Earth. Each crew member also is developing experiments for the mission, including a study of microbiomes and interaction between pathogens carried by astronauts and plants in the green habitat; navigation during extra-vehicular activities with radio signals; use of virtual reality for task training in comparison to traditional training; and use of yoga for stress relief. The team has held biweekly meetings, both for updates on the preparation of individual projects and to increase the crew synergy and bonding. Crew members also have undergone various training, including astronomy, radio-based navigation, and survival and medical care to prepare for the mission. Guariniello also said he is working toward one day becoming an astronaut. In the meantime, he is happy to have a hand in Mars research through a mission like this. “I feel I am giving a little contribution with our mission toward the advancement of space exploration with our testing of technologies and human factors,” he said.